This week combines both Passover and Easter – we’re honoring each as I am Jewish and my husband is Catholic. Translation: lucky little Audrey gets Passover cookies this week and an Easter basket this weekend (and hopefully not a confused identity as an adult). 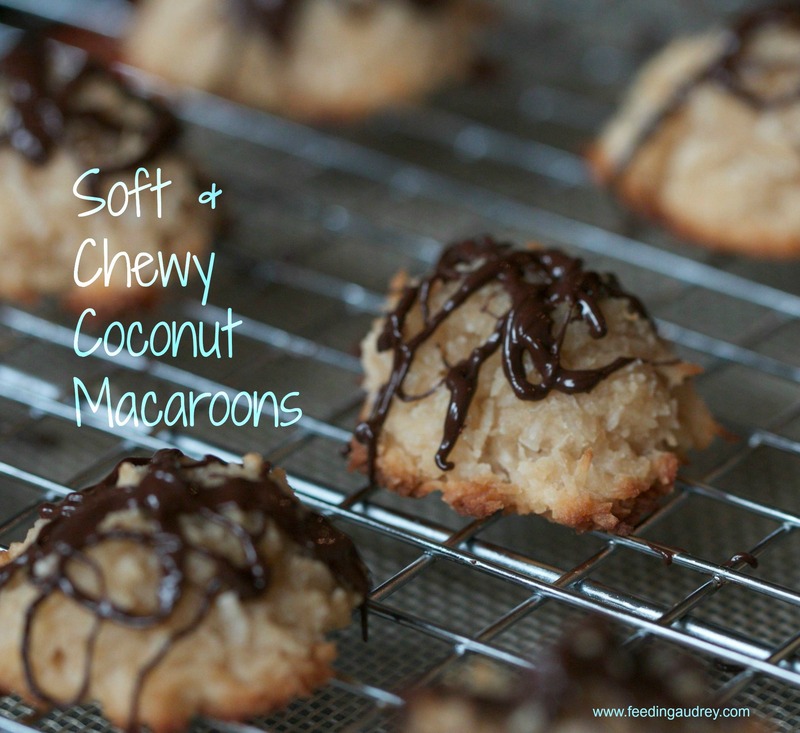 While said lucky toddler was napping today I made these coconut macaroons as a fun treat to wake up to. They’re ready in a snap, do not require any tiresome whisking of egg whites, are pretty darn healthy, and my favorite part, they’re soft and delicious. Oh, and they’re gluten-free, nut-free and vegan if you’re into that sort of thing…. Preheat oven to 350. Line a baking sheet with parchment paper or silpat mat. Combine all ingredients in a small saucepan over medium heat. Cook, stirring frequently, about 3 minutes or until mixture thickens. Remove from heat and let cool slightly. Once easily handled, place packed 1 tablespoonfuls of mixture onto baking sheet. Place in oven on middle rack and cook 20-22 minutes until lightly golden. Let cool completely. * If you don't have coconut flour, for best results use either gluten-free all-purpose, almond flour (this will not be nut-free), regular all-purpose, whole-wheat, or whole-wheat pastry (this will not be gluten-free). Optional Chocolate Drizzle: For an extra fun touch melt dark chocolate chips (I use about ¼ cup) in microwave in 30 second increments. Stir and continue until all chocolate is melted and smooth. 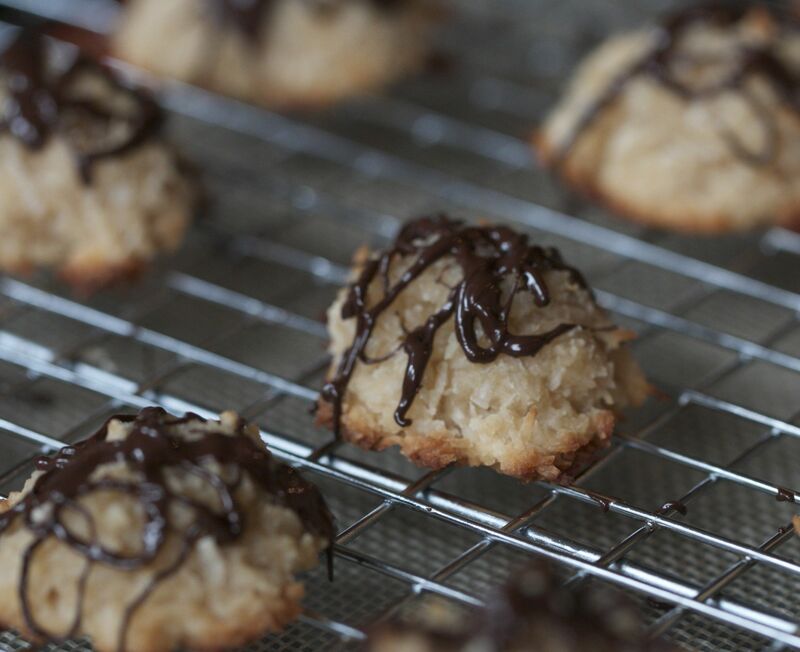 Drizzle over macaroons and let cool before serving. If you're vegan, make sure to buy vegan chips. They definitely do – I hope you like them!! These look great! I don’t have any maple syrup on hand, so would honey work? I have organic liquid honey and raw honey. Thank you! And yes, honey will work, I would use the liquid over the raw though. Agave nectar or brown rice syrup would work as well. These look incredible! You said 1/4 pure maple syrup. Is that 1/4 cup? Thanks! Yes, it is 1/4 cup – thank you for noticing this!! You can’t use whole wheat flour or any grain flour on Passover! The actual recipe calls for coconut four – which is not a grain. I’m so sorry that it isn’t working for you…A few things it could be: Are you using full fat coconut milk and not coconut milk beverage? That will affect consistency. Also, make sure that you are letting the mixture thicken enough on the stove. And lastly, if it’s still not coming together and getting sticky, place the mixture in the fridge for 15-20 minutes and then try forming into macaroons. Hope this helps. Thanks!!! I am so excited to make these! Hi – It’s pure coconut milk, that comes in a can. The kind in a carton is considered beverage and is processed, thinner and won’t work as well. You really want the thick, creaminess of the full-fat coconut milk in a can. Hope this helps! These were the best macaroons ever! So chewy and coconuty! I served them at a family dinner party and 2 others said the same thing. Using coconut milk is brilliant. Thank you, Anna – I am so happy to hear you (and your family) enjoyed them!! both psychotherapy and holistic wellness counseling. So glad that I stumbled upon your site. Thanks for these recipes! I was so happy to find this recipe that is egg and gluten free. I made them today and they are delicious! My cookies came out much darker than yours. Did you used a lighter maple syrup or a special type of coconut that retains the white color? Thank you. Hi Kristen – I do use a light grade A maple syrup that is amber in color. If you used grade B it wouldn’t really affect the taste, but it would make them a tiny bit darker. Was your coconut toasted? If so, that would certainly make them darker. 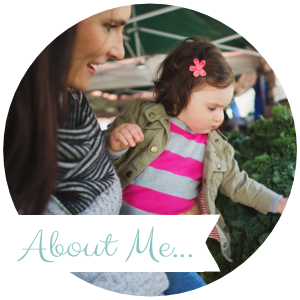 I use an unsweetened coconut that is very light/white in color.